Classy Louis XV style bed, with striking curved solid oak frame. 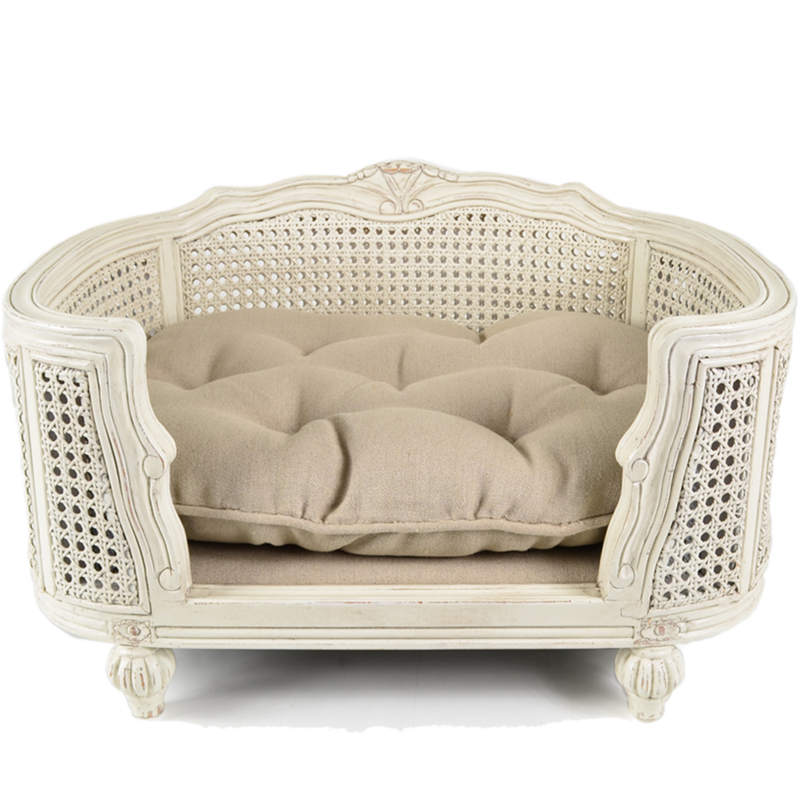 The Dutch company Lord Lou sells beautiful, stylish hand-crafted pet furniture and accessories. 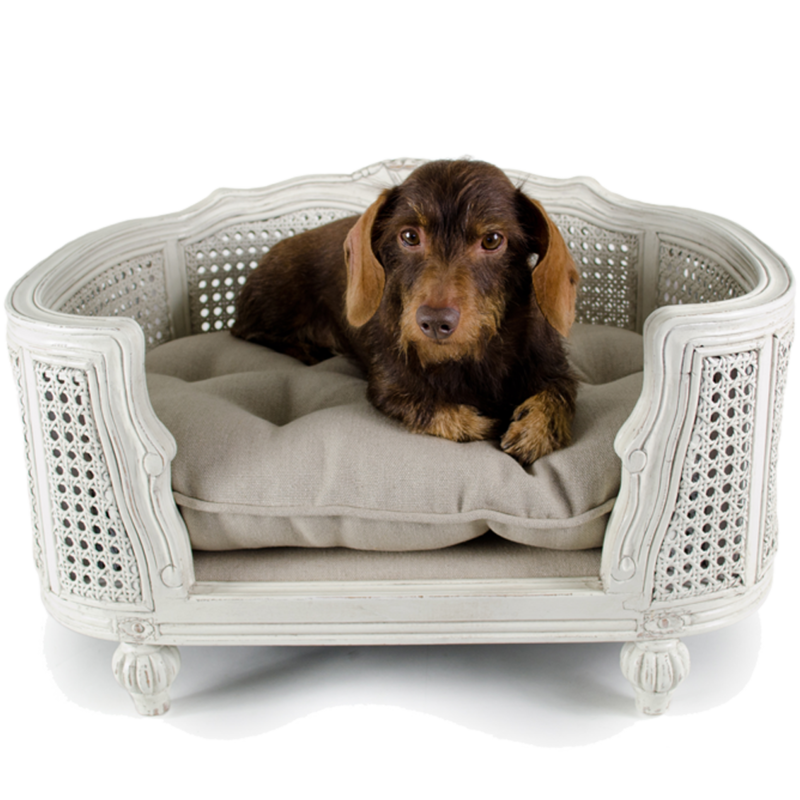 The dog and cat beds differ from ‘traditional baskets’ in that they are genuine pieces of miniature furniture of the finest quality, with particular attention to design, so that they look good in the home. •	Fabrics have been treated with Teflon® dirt and water resistant layer. 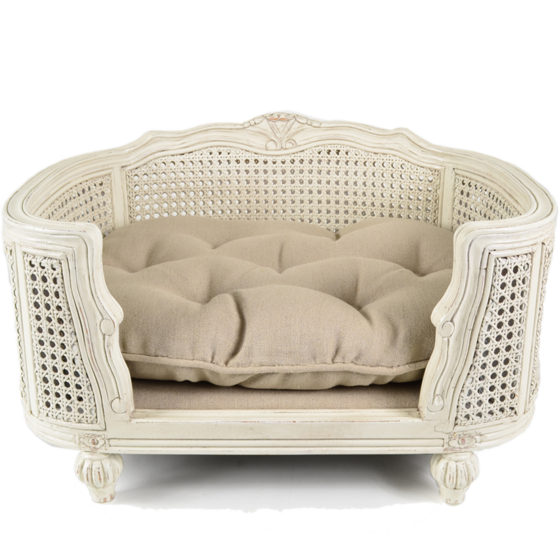 •	Supplied with matching fitted cushion (polyurethane filling) for regal comfort! •	Sizes available (cm): S: 60 x 45 x 34 M: 76 x 56 x 38 All orders placed until Tuesday evening will be shipped latest the following Wednesday.